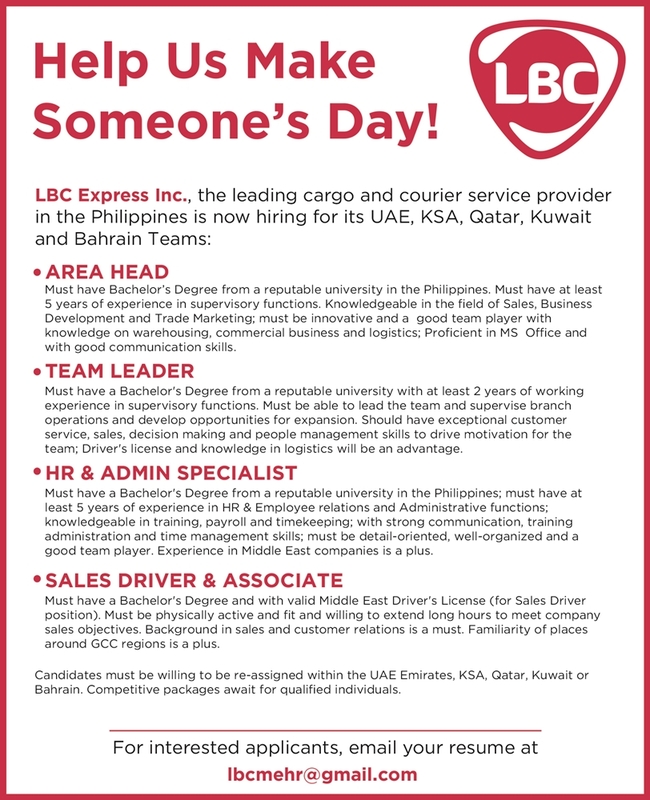 LBC Express, leading cargo and courier express company, is looking to hire people for the following positions: Area Head, Team Leader, HR & Admin Specialist, and Sales Driver & Associate. 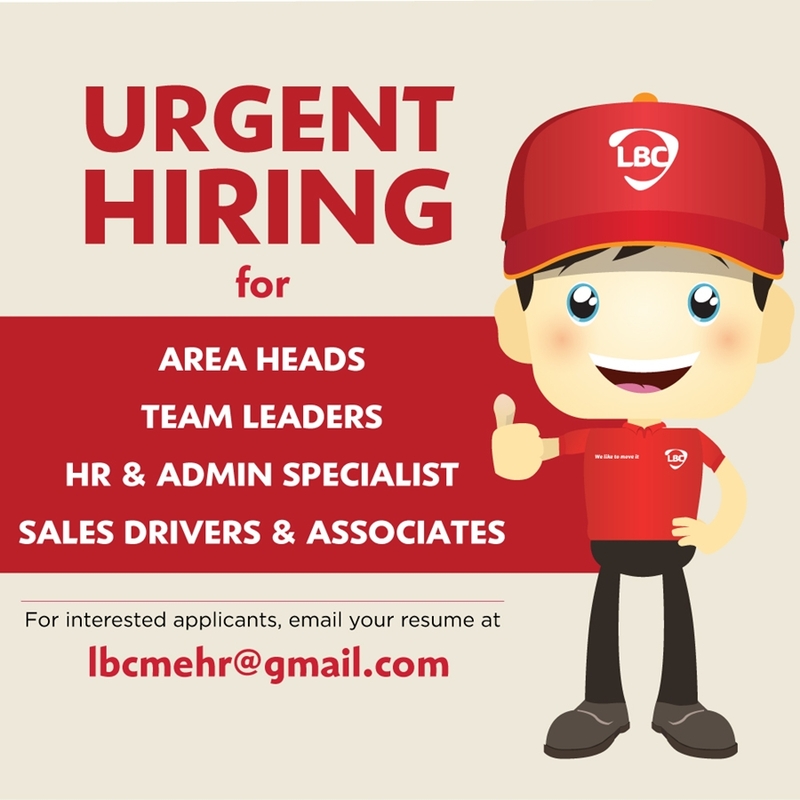 If you’re searching for a job in the Middle East, you can check out the opportunities posted by LBC and see if you are qualified. Below are the positions and requirements for the said work openings. Please be guided accordingly. Must have Bachelor’s Degree from a reputable university in the Philippines. Must have at least 5 years of experience in supervisory functions. Proficient in MS Office and with good communication skills. Must have a Bachelor’s Degree from a reputable university with at least 2 years of working experience in supervisory functions. Must be able to lead the team and supervise branch operations and develop opportunities for expansion. Driver’s license and knowledge in logistics will be an advantage. must be detail-oriented, well-organized and a good team player. Experience in Middle East companies is a plus. Must have a Bachelor’s degree and with valid Middle East Driver’s License (for Sales Driver position). Must be physically active and fit and willing to extend long hours to meet company sales objectives. Background in sales and customer relations is a must. Familiarity of places around UAE and other GCC countries is a plus. So if you wish to apply for the said positions, kindly make sure that you meet the requirements before submitting your resume.